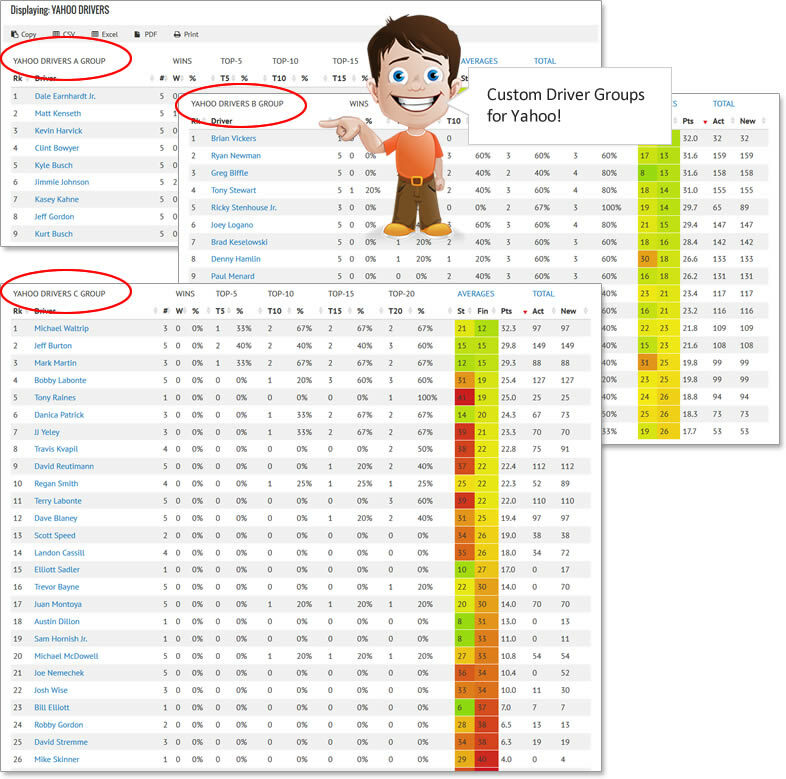 Loop Data Driver Metrics are key data points that NASCAR gathers during each race. Some of these data points are useful in and of themselves while the whole of them are used to determine the Driver Rating. NASCAR Loop Data metrics include: Wins, Finishes, Top-15 Finishes, Average Running Position While on Lead Lap, Average Speed Under Green, Fastest Lap, Led Most Laps and Lead-Lap Finish. Compare NASCAR Cup Series driver key loop data metrics for each race at Charlotte Motor Speedway since the 2005 NASCAR season. With all the opportunities for a good race to go bad for a driver in the NASCAR Sprint Cup Series it is helpful to add some 'meat to the bone' when looking at their finish position. That is where Loop Data comes in to play. Loop Data helps you see how a driver did through the race up-to-the-point their race ended (which may be just a handful or most of the laps in to the race).